Matt is a Certified Financial Planner™ professional and Co-Founder of BridgeQuest Wealth Strategies. His primary focus is strategic investment planning for individuals and families nearing a transition point in their lives. He thrives on connecting, strategizing, and formulating a customized solution for each client. Growing up in Marshalltown, Iowa, Matt learned at an early age what it meant to serve people in an extraordinary way by watching his dad do that for clients. Matt memorized and compiled player statistics from his sports card collection for hours on end, not realizing this was the beginning of his investment planning career. Matt was able to escape the Iowa winters after high school, receiving his Economics and Business degree from Westmont College in Santa Barbara, CA where he was also co-captain of the basketball team. 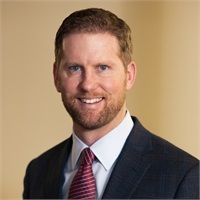 After six years of working with small businesses in the sports marketing world, Matt spent 14 years at a large retirement services company here in Kansas City guiding individuals and families as a financial advisor. As a CFP®, Matt is committed to upholding his fiduciary responsibility to do what is in the best interest of his clients. 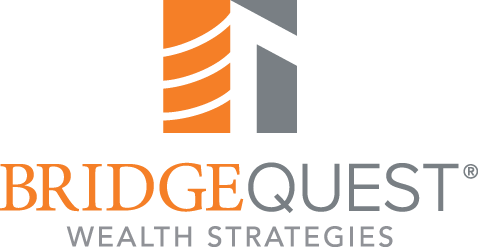 Matt co-founded BridgeQuest to provide clients with objective wealth management. Matt enjoys spending time with his wife Tara and their two daughters. You can often find them out at Kaufmann rooting on their beloved Royals and of course keeping scorebook at the game. Matt loves being active in his daughters' lives as a Watchdog leader in their school and their coach in Upward basketball. Matt is also involved in numerous causes that make a difference in Kansas City and beyond. He is a past board member of the greater Kansas City Financial Planning Association and the Hope Family Care Clinic in Kansas City, MO. He is also an active leader at Heartland Community Church and with Children's Covenant Homes of India.